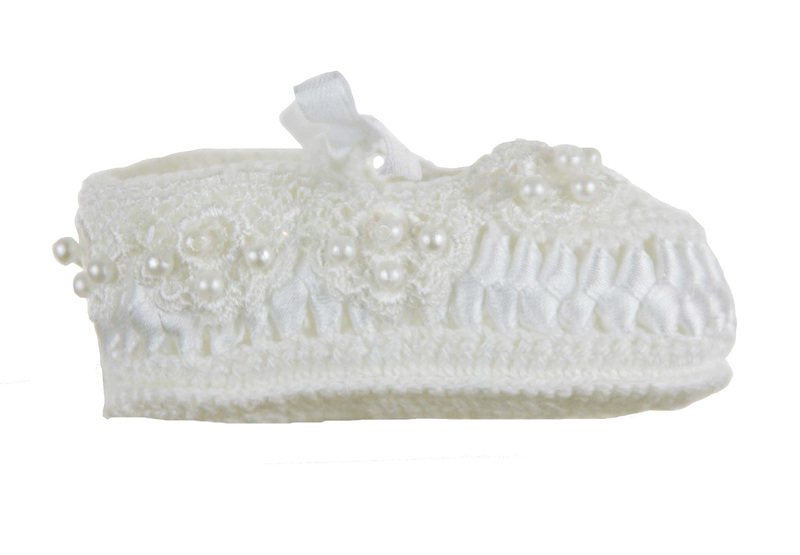 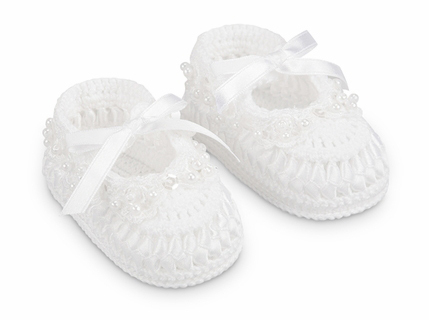 These are the most precious little white hand crocheted cotton booties! 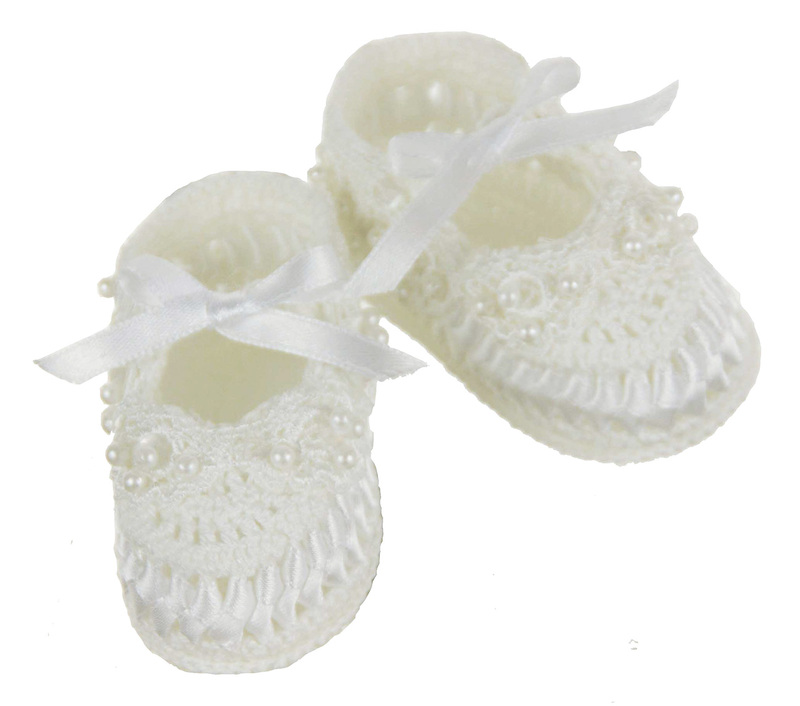 The vintage style Mary Jane booties feature a braided ribbon sides with white lace trim, tiny seed pearls, and satin ribbon ties. Perfect for christening booties, a baby shower gift or a newborn baby gift!